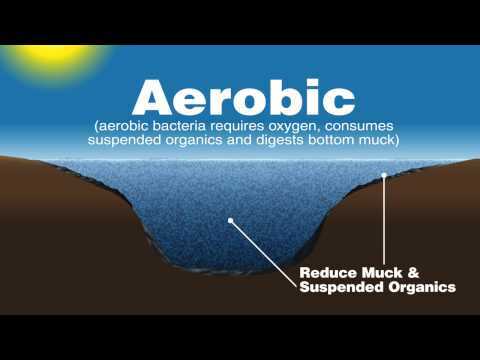 Pond Logic® Algae Defense® - Airmax® Inc. Formulated for fast acting results, Pond Logic® Algae Defense® can be applied directly to troublesome algae and chara to treat both floating and bottom forming algae. Algae Defense® carries no water use restrictions making it great for fresh water lakes, potable water reservoirs, and game fish ponds and water treated with Algae Defense® may be used immediately for recreational activities, drinking and irrigation. Algae Defense® should be applied to target algae while it is active and growing. The active ingredients in Algae Defense® will be absorbed by the plant killing it entirely. Mix the desired amount of Algae Defense® and pond water in accordance to label directions. Using a pressurized sprayer; spray the Algae Defense® mixture directly onto target algae. Overtime treated algae will begin to brown and die. Once it is completely dead, rake the dead algae away to prevent an accumulation of plant decay and pond muck. Algae Defense® is not recommended to be used in ponds with koi, goldfish, grass carp, or trout, unless carbonate hardness is above 50ppm. Algae Defense® can not be shipped to Alaska, California, Connecticut, District of Columbia, Hawaii, Maine, New Jersey, New York, Puerto Rico, Rhode Island, Vermont or Washington.